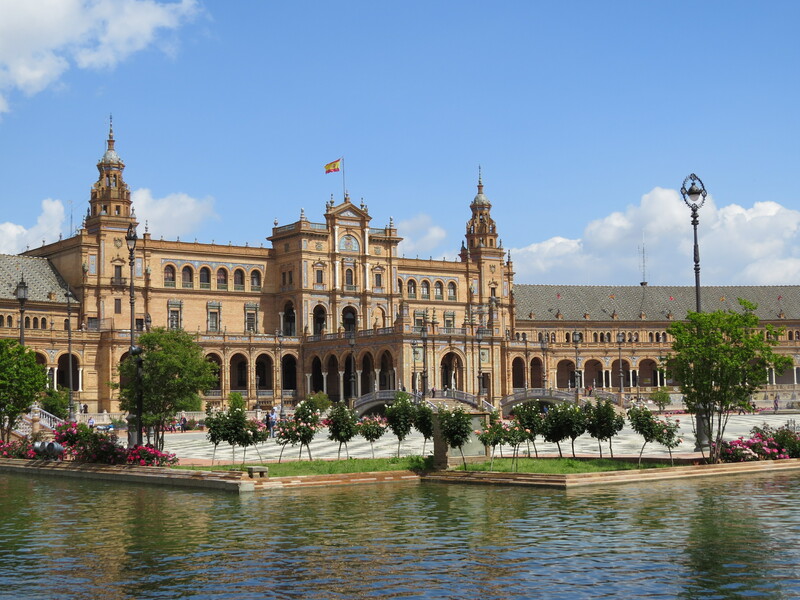 Seville — the entire city. I loved it. 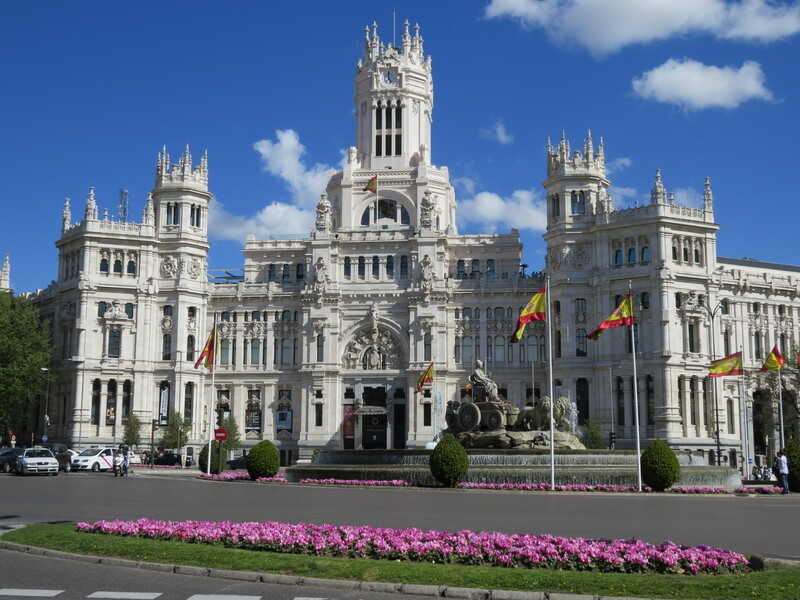 Madrid is the capital of Spain and is its largest city with over three million residents. The city was originally founded under Arab rule in the 9th century. Following Christian conquest, most of the city’s Arab influences were destroyed or removed leaving Madrid with a very different look and feel than the cities in southern Spain. Madrid was established as the permanent capital in 1606 and has remained the capital for over 400 years. 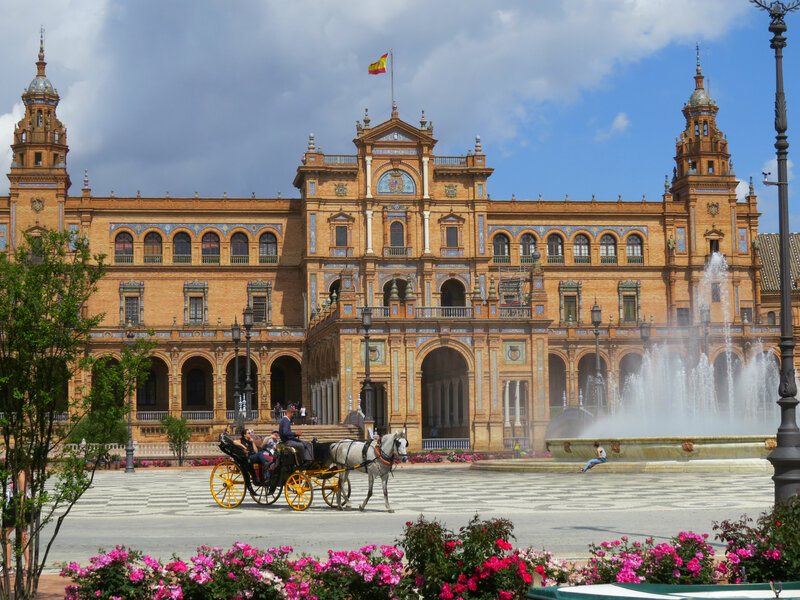 I found Madrid to be a pleasant combination of old and new, with impressive architecture, parks, historical buildings, art and food (obviously). Some of the key attractions are discussed in more detail below. After spending over a month in Morocco and southern Spain, one of the things that stood out to me was how much intricate detail was put into the floors, walls and ceilings of many buildings. The finer details were typically reserved for palaces and larger homes, but even smaller guest houses would often have beautiful entrances and tiled walls. The Alhambra, a Moorish palace in Granada, has some of the most beautiful and detailed tile work in the world. 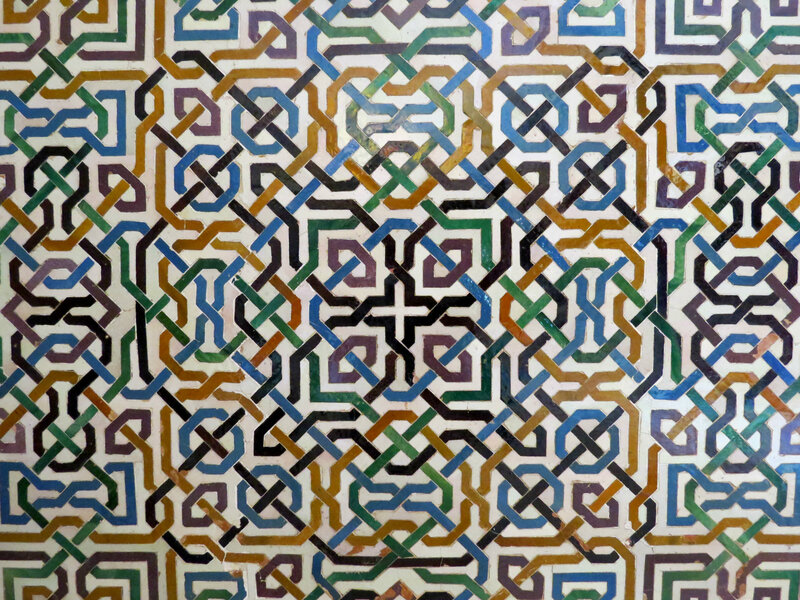 Most of the designs include colorful, repeated patterns and arabesques, which are both commonly found in Islamic art. 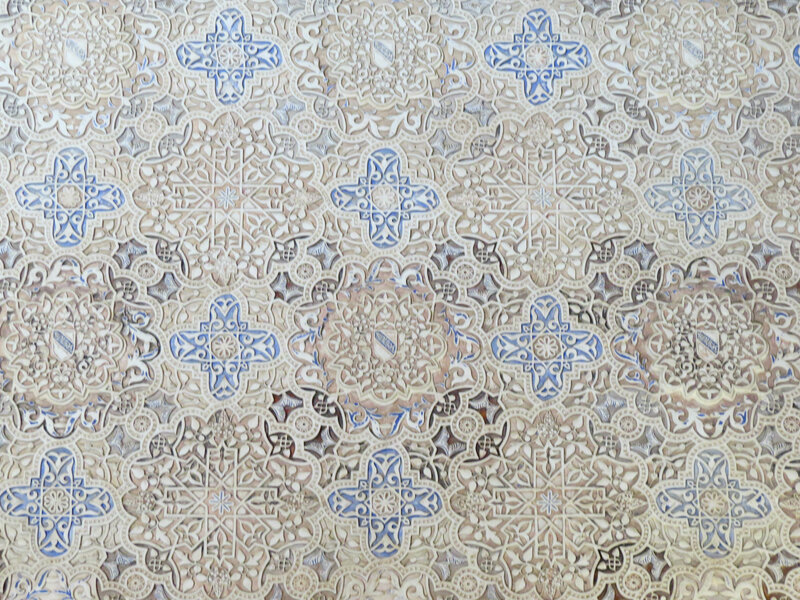 Some of the patterns in the Alhambra include rosettes (round flower patterns), tessellations (repeated shape patterns), and knots (braided patterns). For a more in-depth analysis of the common patterns in the Alhambra, click here. Granada is located near Spain’s Sierra Nevada mountain range in the eastern part of Andalucia. 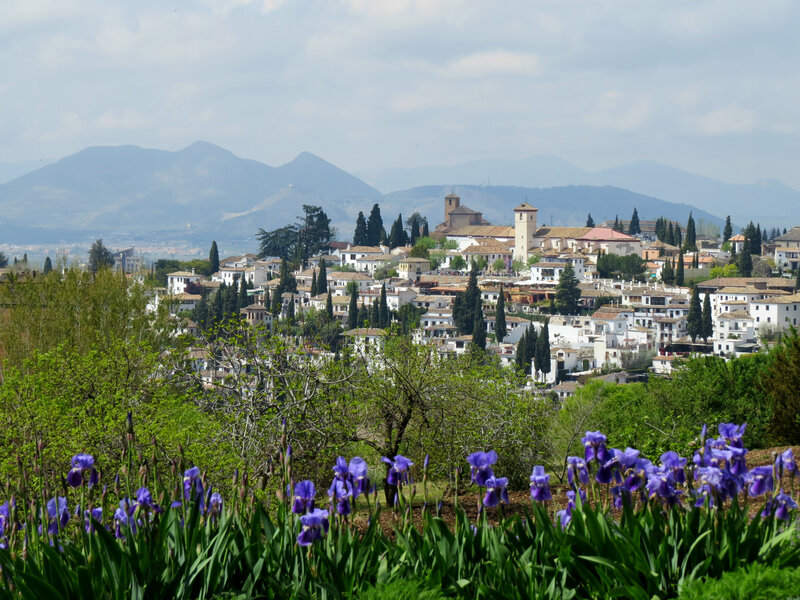 Granada — not to be confused with Grenada, the Caribbean island — isn’t as well known as some of Spain’s other cities, but it is just as charming and one of my favorite places I visited on my trip. As a side note, If you ever book a plane ticket to Granada or Grenada, make sure you’re going to the right place, unlike this unfortunate grandmother from the UK or this American couple. The title of this post references ‘free tapas’ because with every drink purchase in Granada, most restaurants will give you free tapas. As far as I understand, the free tapas custom used to be more common throughout Spain, but now Granada is one of the only remaining places where this is still true. The free tapas weren’t anything spectacular, but I could sit down, purchase a couple of cheap beers and get a free lunch or snack out of it. The food that I actually paid for in the city was excellent. 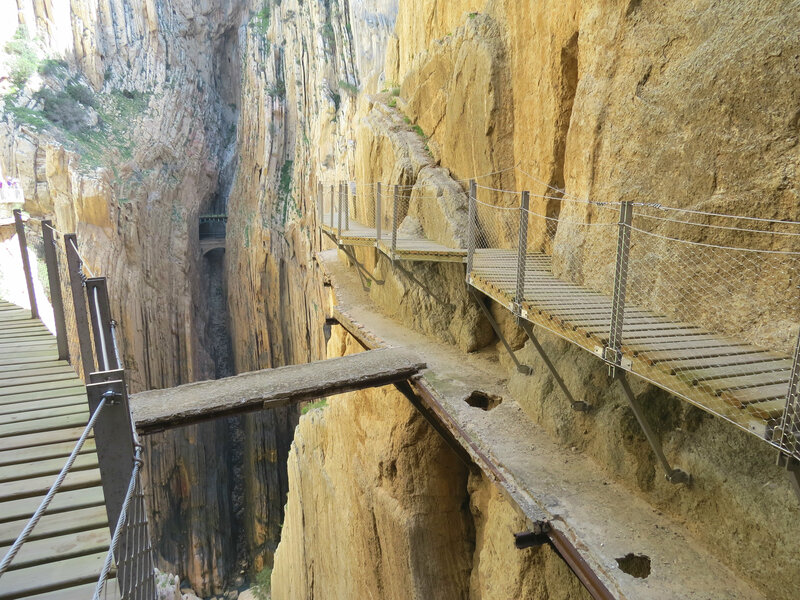 The Caminito Del Rey (Little Pathway of the King) is located in El Chorro, Spain, approximately one hour northwest of Málaga. The pathway was built from 1901 to 1905 as a means for workers to cross between two hydroelectric plants in the area. 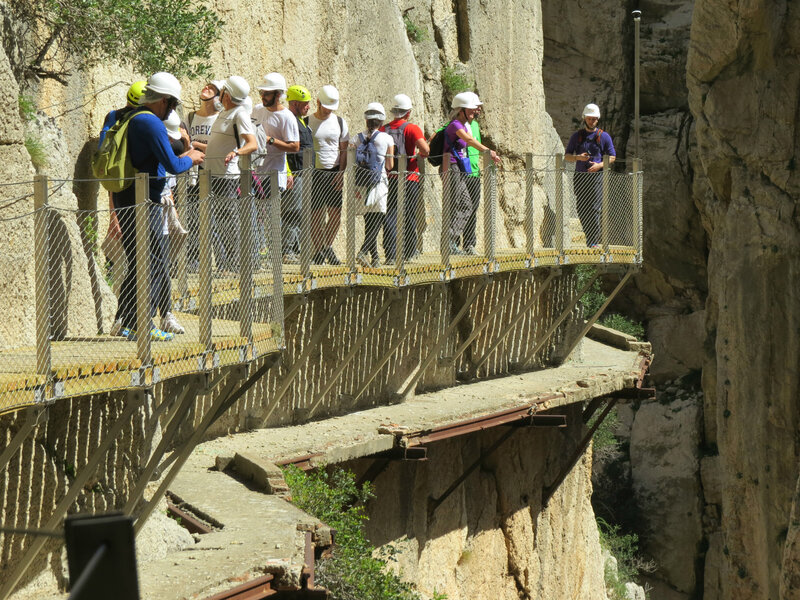 The path is elevated up to 330 ft above the canyon floor, and over time it has deteriorated to dangerous levels. Despite the path’s poor condition, adventure seekers continued to cross it, leading to multiple deaths over time. The danger of the path is well documented by the Expert Vagabond. He is a braver man than I am. Starting in 2011, the pathway was closed for renovations, and it finally reopened in 2015 with a safer wooden boardwalk and handrails. In the pictures below, you can see the new path built over the old, dilapidated path. There is nothing surprising about southern Spain. It is exactly how you imagine it to be — a place full of natural beauty, wonderful food, rich culture, intriguing history and some of the nicest people on the planet. I loved the tranquility of the coastal cities and hated when it was finally time to leave. 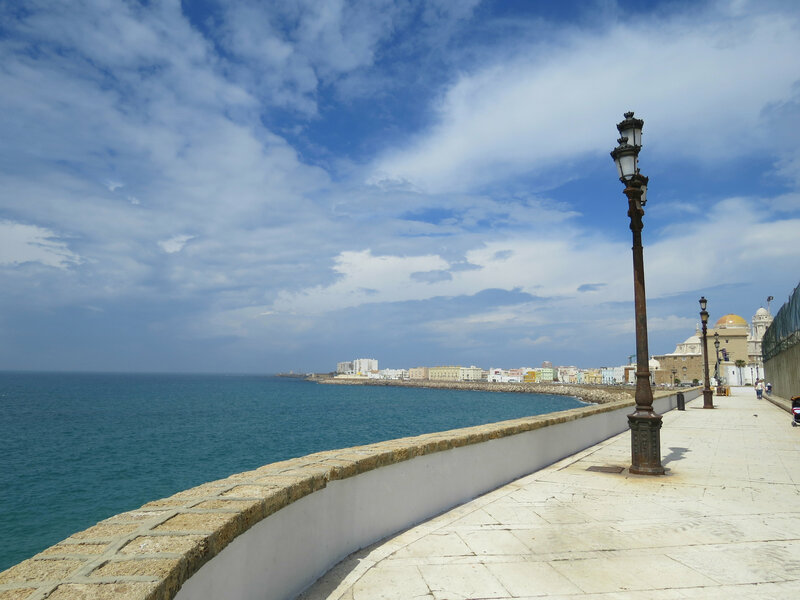 There is so much to see and do in this region, but I only had a couple of weeks, so I settled on visiting Tarifa, Málaga, and Cádiz. Each city was great in its own way. I arrived in Tarifa, Spain after a short ferry ride from Tangier, Morocco. I knew Africa and Europe were fairly close together (at least between Spain and Morocco), but it didn’t fully sink in until I was standing in Europe looking back at northern Africa. 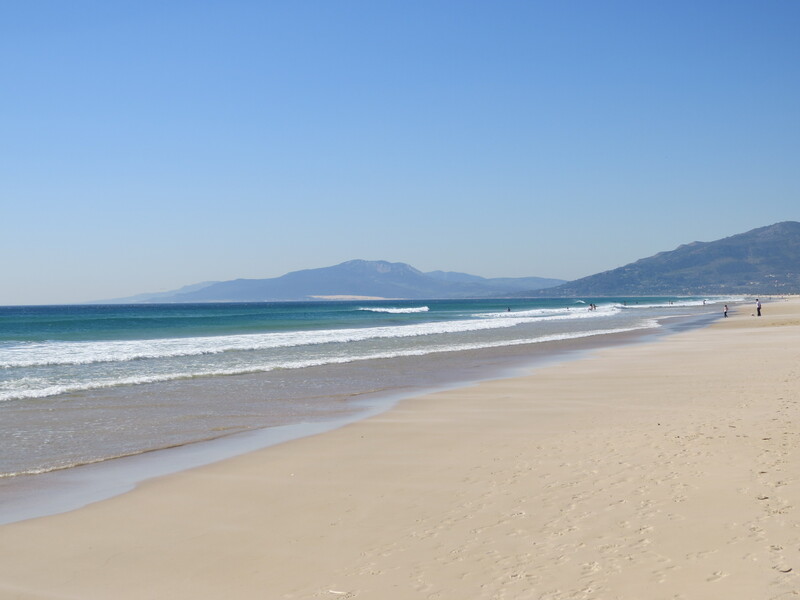 Tarifa’s sunny weather, friendly people, and relaxing street-side cafes made the chaos of Morocco seem like a distant memory. It was the perfect place to decompress and start my three weeks in Spain. Here are a few of my initial impressions about southern Spain.